OpKey MobiCast is a new feature integrated with OpKey Execution Agent which works on concept of Virtual Network Computing. This is a graphical desktop sharing system and allows you to view live connected mobile device screen on your machine. 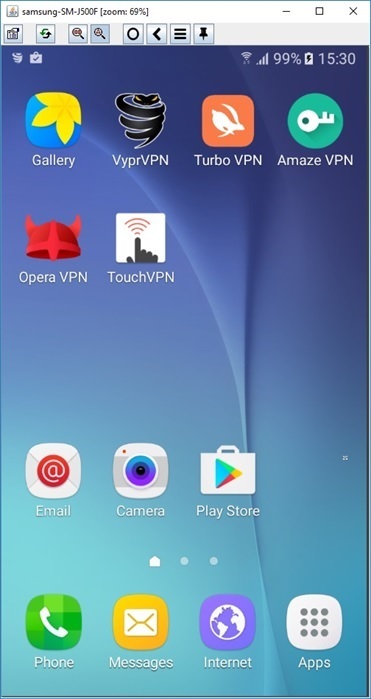 Now, OpKey Execution Agent is empowered with such VNC feature which enables you to view live connected mobile screen. Click on Mobile menu. Here, you can view list of all the connected mobile devices. Device Logs section of the connected mobile screen is useful for Developers. They use device logs for fixing issues. You can customize this screen as per your requirement but while fetching object/image from the screen make sure that its zoom in level is 100%.